Sometimes I need music in the background of my life – whether I’m writing or driving or cleaning – to remind me of what is true. That’s what the five songs from “What Great Mystery” did for me with its intriguing sound and truth-filled words. “What Great Mystery” is The Corner Room’s second project that recently released. While its first project, “Psalm Songs” (Psalms from the ESV set to music) was intended for Scripture memory and meditation, this album has more of a congregational worship focus. Of the five tracks, two are original tunes, two are retuned hymns, and there’s a new rendition of the Doxology. What Great Mystery – With a mysterious music sound, this song is full of truth of God’s massive ways that still manage to call us to him. This is my favorite of the two original songs. O God, Be Merciful to Me – This traditional plea from a sinner has a beautiful, modern sound. Unworthy – While proclaiming our unworthiness, this song ushers us into praising God for his love for us. Thy Works, Not Mine, O Christ – Another update to an old hymn, it’s a sweet reminder that God’s ways are timeless. Doxology – This is a happy, country sound to an old favorite, which goes along well with thinking about God’s goodness. Corner Room’s main musician Adam Wright shared more about “What Great Mystery” in an interview via email. Choosing two classic songs to record comes on the heels of Wright retuning hymns for the congregation as the worship leader at Cahaba Park Church in Birmingham, Alabama. Wright considers the two other songs an experiment in writing hymn-like pieces set to modern music – and I’d say they turned out well. This type of songwriting has resonated with Wright’s church and he hopes others benefit too. The Corner Room is a music ministry of Cahaba Park Church in Birmingham, Alabama, that was created in January 2015. Wright said he’s finishing up setting 1 Corinthians 13 to music – a project that should be released in the spring. The second volume of “Psalm Songs” is as slated for next year. You can keep up with its music online – Twitter, Facebook, website. The Corner Room is graciously offering downloads of “What Great Mystery” to three of my readers. Just use the Rafflecopter below to enter to win. The giveaway will be open through Sept. 22. 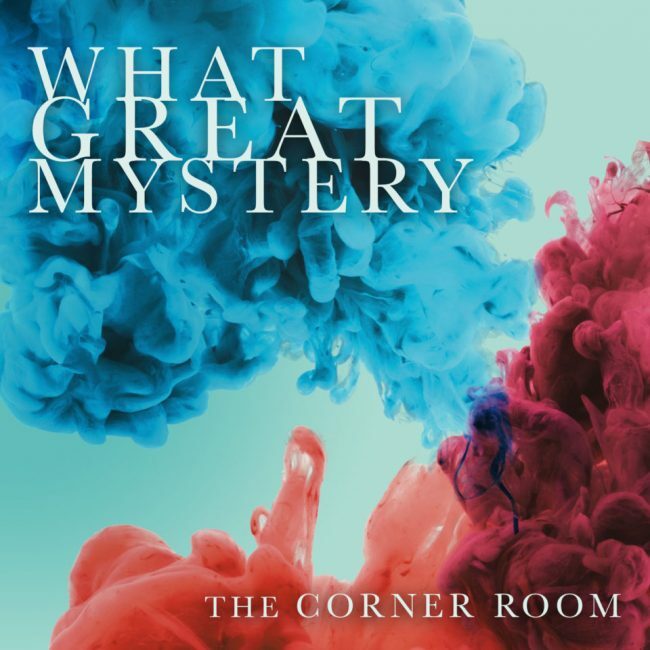 I received a free download of “What Great Mystery” from The Corner Room in exchange for a review. The opinions are my own.